AMA employees gave back and paid it forward by donating their time and money. 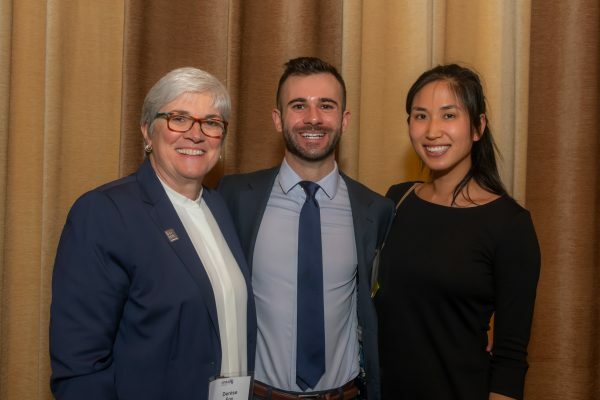 This outpouring of generosity allowed the AMA Foundation to award $30,000 in scholarships to medical students in the Chicagoland area in 2018. Two AMA Employee-funded scholarships were awarded in its inaugural year. Additionally, the AMA Office of General Counsel established the David Jones Peck MD Health Equity Scholarship Fund in conjunction with National Doctors Day 2018. The David Jones Peck, MD, Health Equity Scholarship will be awarded annually to a medical student who has demonstrated a commitment to addressing health disparities and promoting health equity in diverse, economically disadvantaged, urban environments. James Stinson, III was the inaugural recipient. He attends the University of Illinois, Chicago College of Medicine. There, he volunteers at the student-run free clinic and on the South Side of Chicago with the UIC Urban Medicine Program. Congratulations, James! James Sabra and Lucy were the two inaugural recipients of the AMA Employee-funded Scholarship. Established in 2017, the fund will award at least one $10,000 scholarship to a medical student from the Chicagoland area, D.C. area, or New Jersey. The student is selected by a selection committee comprised of AMA employees. James Sabra attends Northwestern University Feinberg School of Medicine. James has created a knowledge-based assessment for transgender women regarding physical changes that can occur throughout the transition process. This data will be used to improve the quality of care provided to transgender patients, especially during the transition process, and help to address the knowledge gaps of both patients and physicians. 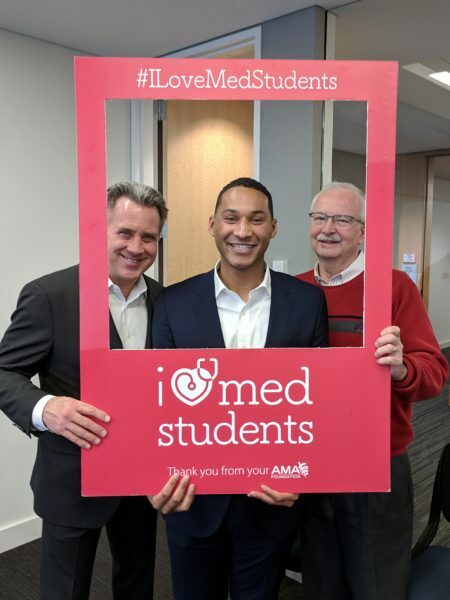 James is paying forward the generosity he has received by donating his time to educate others, including employees at a recent lunch and learn at AMA HQ on LGBTQ health care issues. We can’t wait to have James back again to continue collaborating and educating us! The other AMA Employee-funded scholarship is Lucy Xu. Lucy attends the University of Chicago School of Medicine. She also volunteers with the Urban Health Initiative on the South Side of Chicago. Here, she focuses on giving back to the community by educating uninsured patients about chronic disease and obesity. Lucy is the first co-director of the Bridgeport Free Clinic and plans to pursue a career in primary care and health care disparities research on the South Side. We look forward to following her many successes! Thank you to everyone who volunteered and donated last year. We can’t wait to support more inspiring medical students as One AMA.